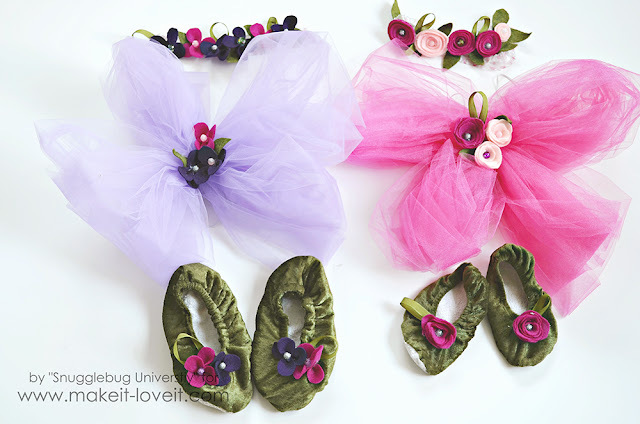 Snugglebug University: Fairy Costumes, Plus DIY Wings and Shoes! 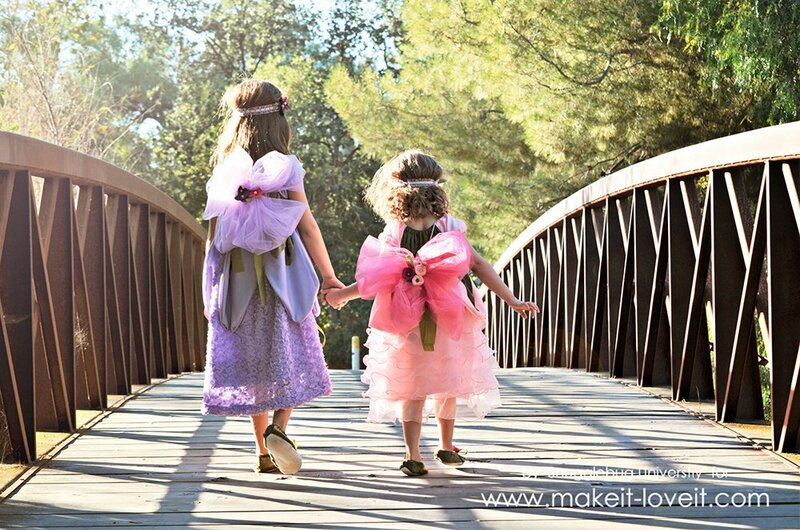 Fairy Costumes, Plus DIY Wings and Shoes! I really love today's post! Today I'm over on Make It Love it showing my kids' Halloween costumes. You know that my kids have been crazy about fairies lately, so you probably aren't too surprised that fairy costumes were top on my kids' list this year for Halloween! I was super ambitious this year, which means we made the whole costume--from shoes to wreaths, to wings! I really wanted this whole costume making experience to be a special memory for them, and I hoped to even get some pictures of them in the costumes to hang in their room. 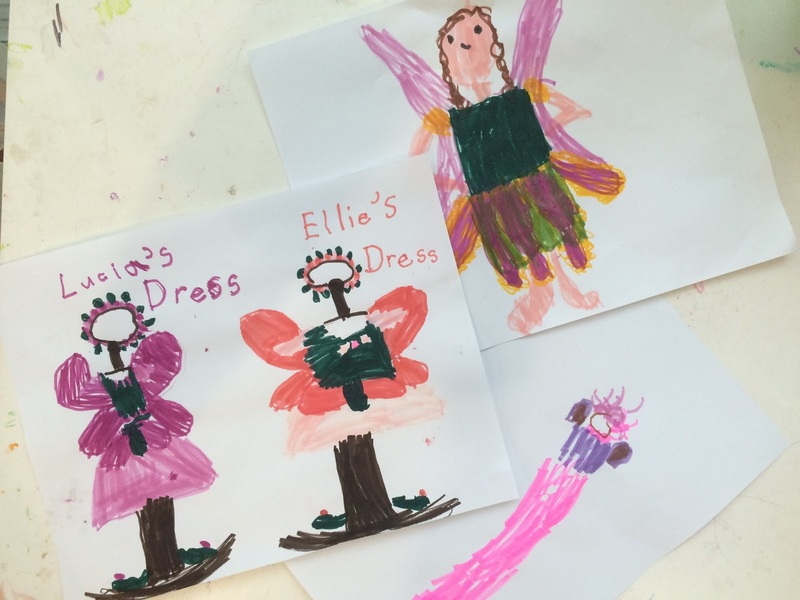 I let my kids help design the costumes, and it seemed like every few minutes they'd hand me a new design. Super fun. If you'd like to make your own fairy costume, head over to Make It Love It to see how our costumes came together. 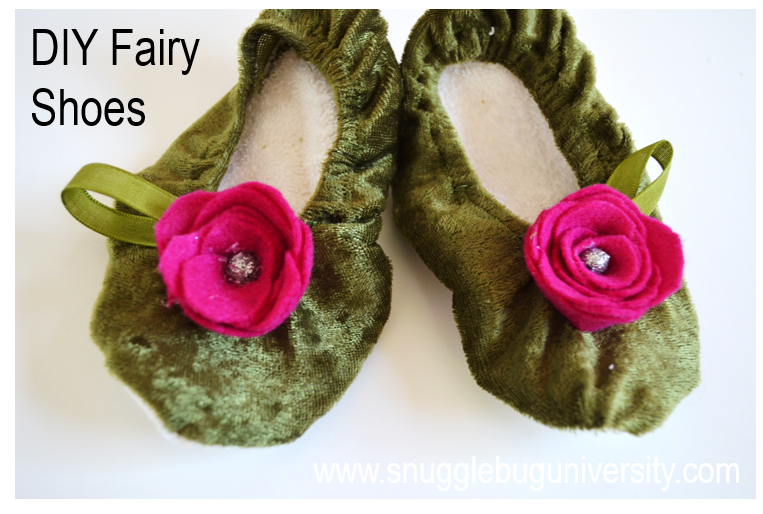 Then keep reading below to deck your kids out with the rest of the fairy accessories, including the fairy wings and fairy shoes! 1/4 inch elastic for the shoes. Alright, let's get started with the shoes. I've included a template at the bottom of this post. Seam allowances are not included. This size fit my 6 year old daughter who wears a size 12 shoe. My daughter has narrow feet, so if your child has wider feet you may want to add a bit of width. 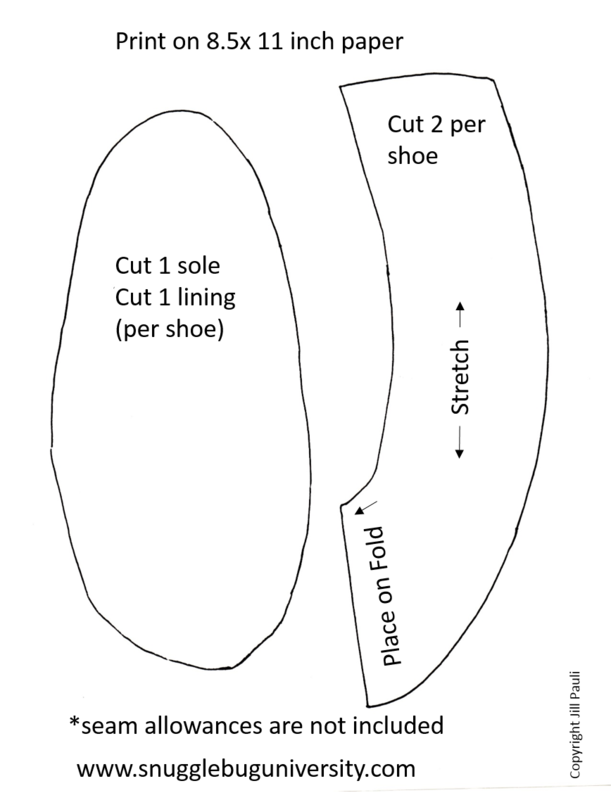 For EACH shoe, cut out two pieces using my template. Pay attention to the stretch of your fabric. My fabric had a 2-way stretch. I made sure that it stretched from heal to toe, otherwise the show won't have much give and will be really uncomfortable. 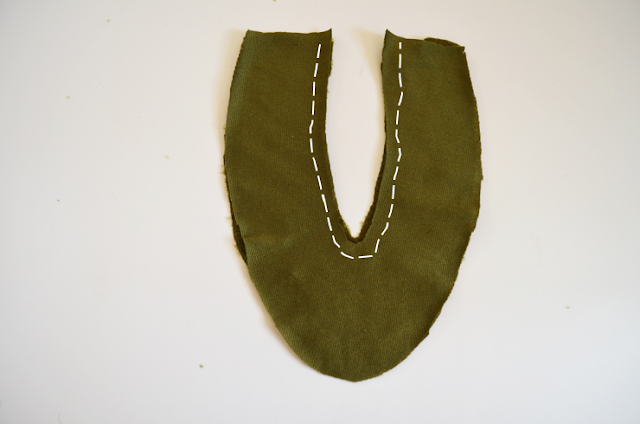 Placing the right sides of your fabric together, sew around the inner portion of the shoe, as shown below. Turn your fabric right side out. Now you're going to need to sew a passage way for the elastic. The guide is shown in (1), with the completed pathway shown in (2). Use a safety pin to help the 1/4 inch elastic through the passageway. Sew the heals together. This secures the elastic at the same time. 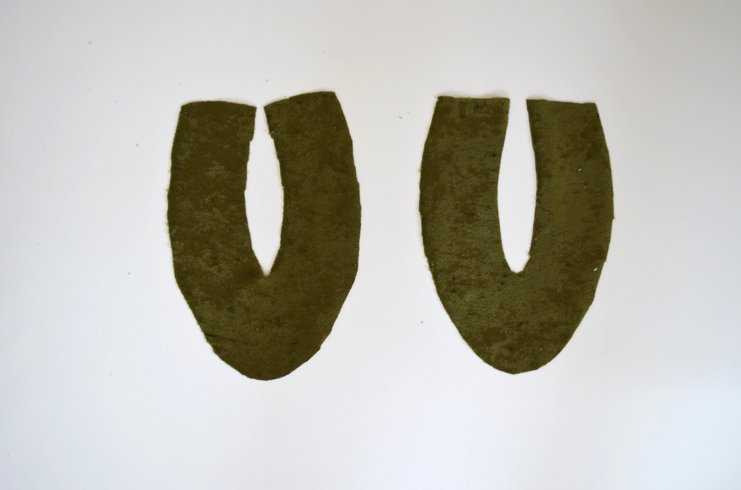 Now you need to get the other two pieces of the shoe: your terrycloth bottom and your no-skid fabric for the sole. 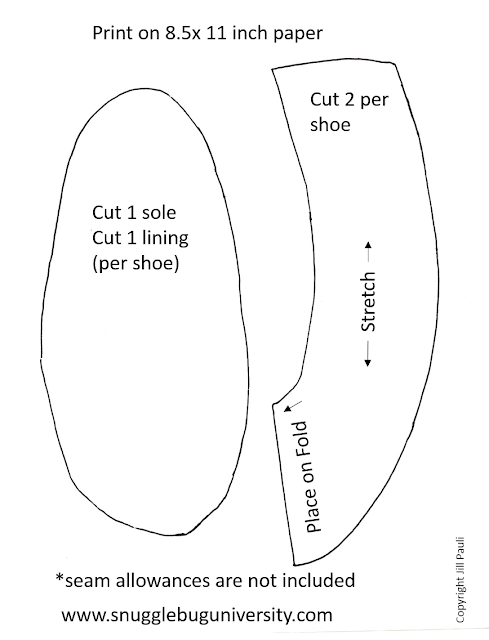 Pin the "right" side of your shoe such that it's facing the "right" (or bumpy) side of your sole. Place the terrycloth below the anti skid sole. 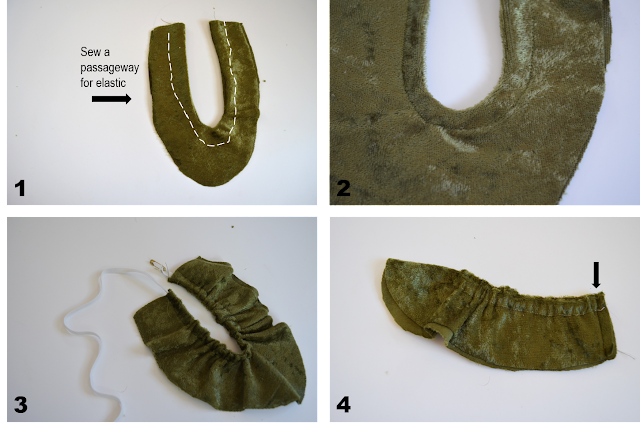 Sew all around the edge of the shoe. All sewn up! I went along and zig zaged the edges around the shoe so that it'd be softer on the little feet. All finished! Embellished as desired. I just glued some felt flowers right on! Repeat with your other shoe. Not too hard, right? Alright, who is ready to make some wings? a small piece of fabric to cover the pipe, plus a hot glue gun to attach it. First, cover your PVC pipe with fabric, using your glue gun to attach. Grab them in the center and tie them to your pipe. Go ahead and use a hot glue gun to attach the tulle to the pipe better. Now you need to drill a hole for your arm pieces of elastic. I just used a regular drill to drill through both sides of the pipe. Push your 1/8" elastic through each of the holes, and then tie a loop on each side for each arm. Now go ahead and glue your flowers onto the ribbon side (not the pipe side) of your wings. 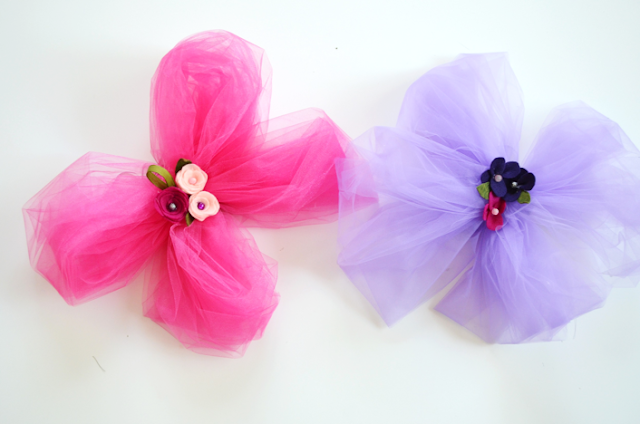 For more on how I made my felt flowers, you can check out my fairy costume tutorial here. 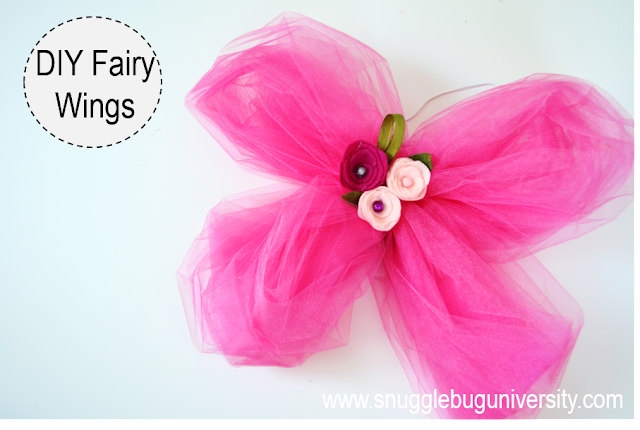 I hope you like these fairy accessories! These wings and shoes were seriously so simple to make. I hope these costumes get you in the Halloween spirit! 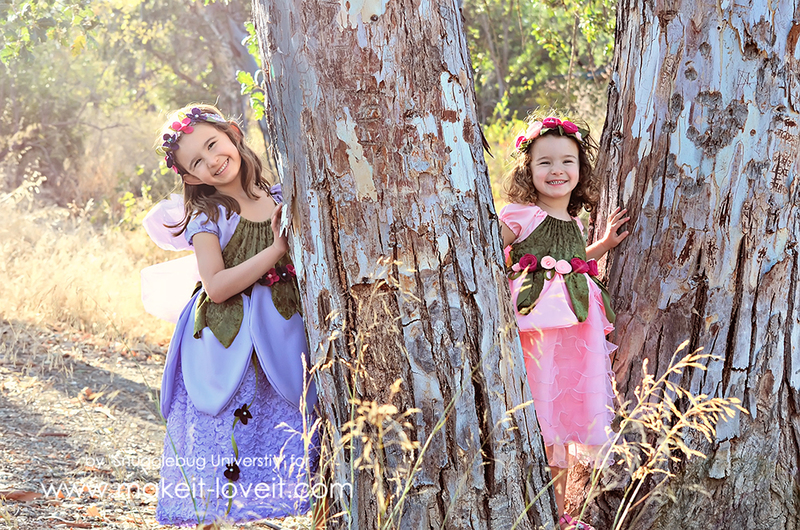 Now hop on over to Make It and Love It to see the rest of my fairy costumes!! 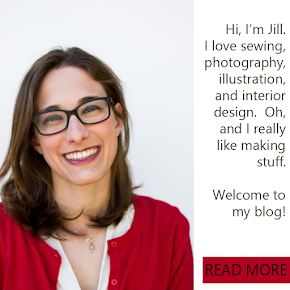 I shared this project on Sew Can She's Show Off Saturday. Click on over to see the rest of the great entries!